On my “Movement in Photography” workshops, and in my camera club talks, I discuss the use of camera movement and subject movement, but sometimes an image that involves neither cries out to be taken! 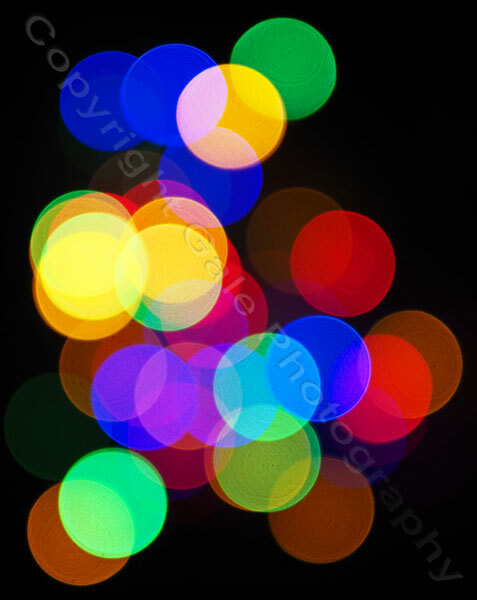 These are battery-powered LED Xmas lights taken with a wide-aperture lens (f1.4) and defocused to give nice big “bokeh” circles. There’s lots of colour mixing going on in the overlapping areas. It’s like a very complicated set of Venn diagrams. 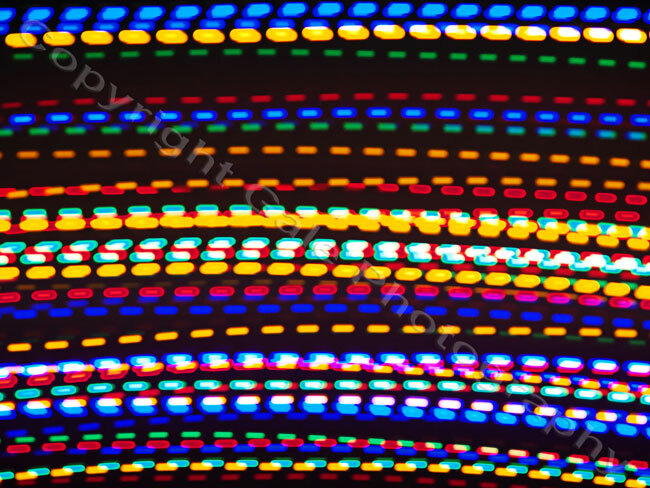 The LED lights appear to be illuminated all the time, but if you move the camera another story emerges. Swinging the camera from one side to the other whilst the shutter was open gave a series of dotted lines. This shows that the LEDs are flashing on and off. I assume it’s a power saving thing. More LEDs here, but this time in the form of gloves with LEDs in the fingers. 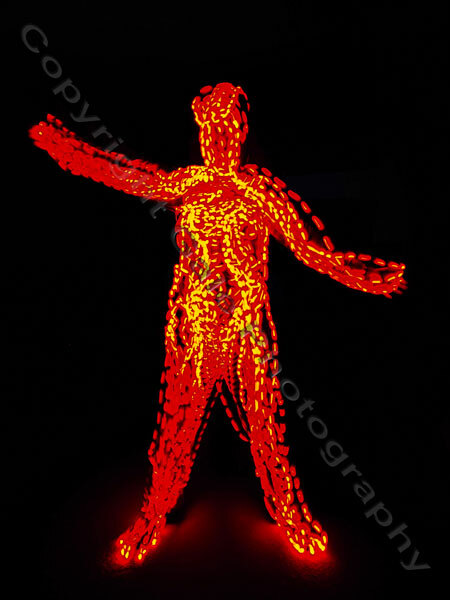 With the camera firmly on a tripod I made the shape of a person by moving the gloves whilst the shutter was open. It’s not too easy to do! So that’s a static subject, a moving camera and a moving subject. You can learn more about these techniques, and lots more, if you book for my photography holiday in October with HF Holidays. It’s in the fantastic Shropshire Hills. You can find out more here.